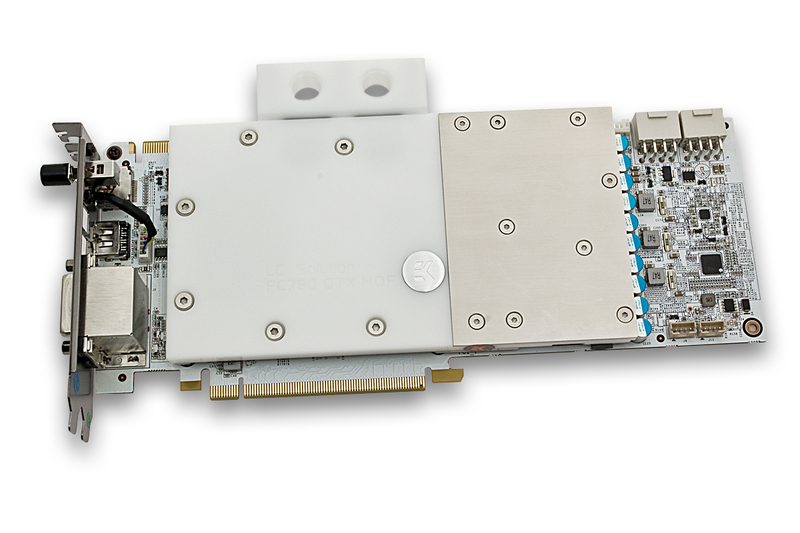 EK Water Blocks, Ljubljana-based premium water cooling gear manufacturer, is proud to introduce the EK-FC780 GTX HOF – a full-cover water cooling solution for the Galaxy / KFA² NVIDIA® GeForce® GTX 780 (Ti) Hall Of Fame series graphics card. 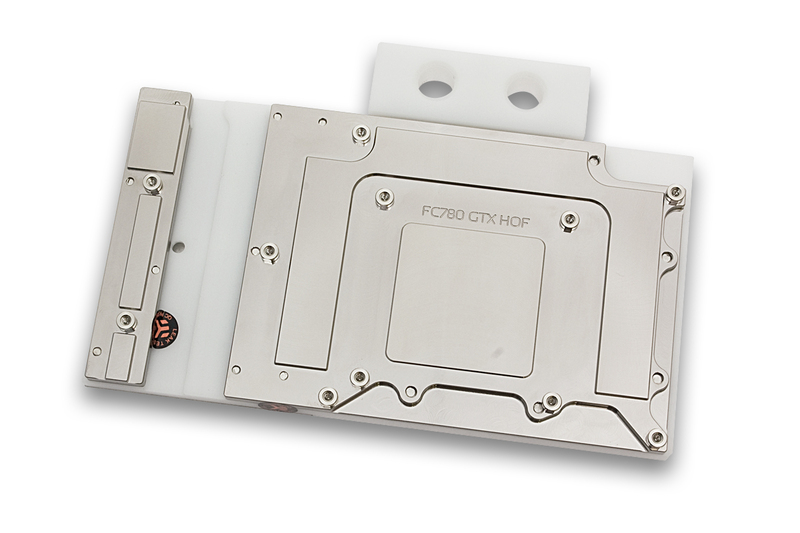 EK-FC780 GTX HOF water block directly cools the GPU, RAM as well as VRM (voltage regulation module) as water flows directly over these critical areas thus allowing the graphics card and it’s VRM to remain stable under high overclocks. 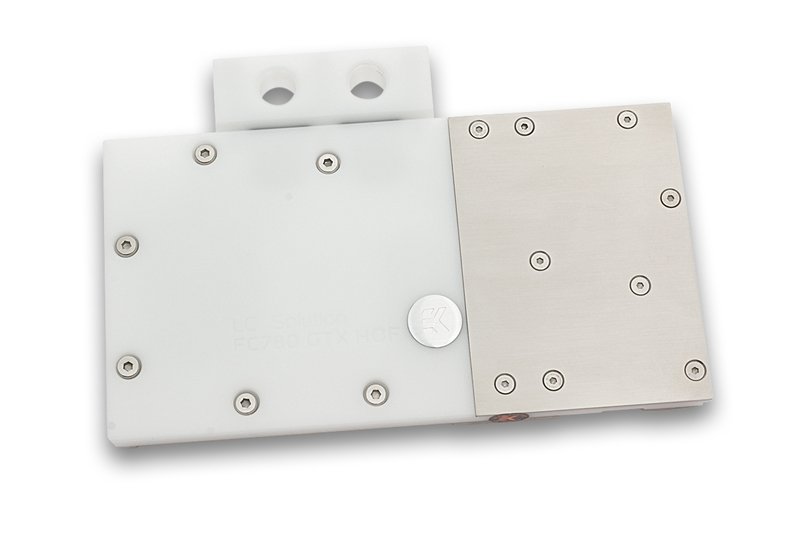 EK-FC780 GTX HOF water block also features a very high flow design therefore it can be easily used in liquid cooling systems using weaker water pumps. Base is made of nickel-plated electrolytic copper while the top is made of quality white POM Acetal. For a perfect visual match nickel-plated screws and white FC Terminal are used to perfectly mimic the colour scheme used by this extraordinary graphics card. Screw-in brass standoffs are pre-installed and allow for safe installation procedure. Product is readily available for purchase through EK Webshop and Partner Reseller Network.